There’s no need to take anything away from what Julian Edelman was able to accomplish in the Super Bowl. The legacy that he’s built since being drafted in the seventh round speaks for itself. The amount of big plays he’s made in the playoffs alone makes him an all-time great, trailing only Jerry Rice in a number of postseason categories. The best catch of his career remains the miracle grab against Atlanta two years ago, but last Sunday was his most legendary performance. Ten receptions for 141 yards and 14.1 yards per catch. For a large portion of the game, the Rams had absolutely no answer for number 11. The only thing Edelman didn’t do is find the end zone, but neither did anyone besides Sony Michel, which brings me to my main point. If you had come from the future and told me that the Patriots would score 13 points, I wouldn’t have watched the game. That’s a loss. I don’t need to put myself through that. Only five teams had ever won a Super Bowl by scoring less than 20 points, and four of those games happened in the 60’s and 70’s. The only team to do it in the last 44 years was the ‘07 Giants (gross). The lowest point total ever by a Super Bowl winner came when the ‘72 Dolphins beat the Redskins 14-7. Even during the most defensive-dominant era in the history of the sport, 13 points was never enough to get the job done. 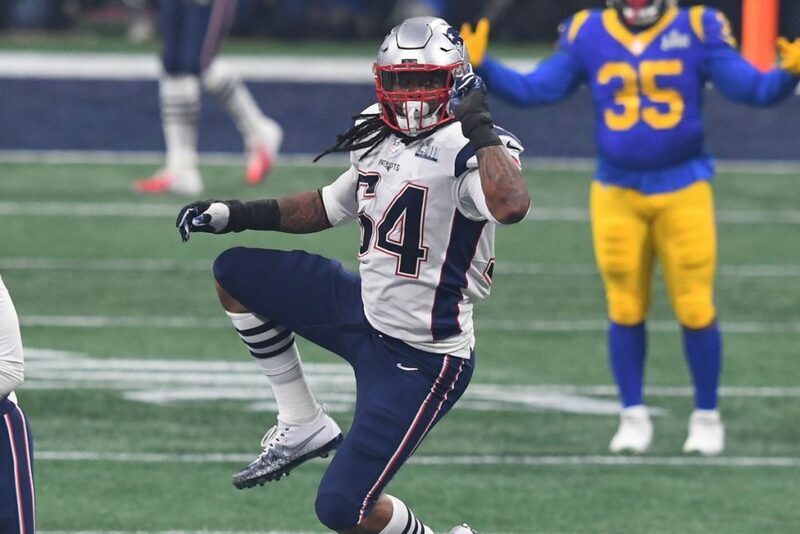 Of course the MVP is an individual award meaning it should have gone to the best player on that defense, Dont’a Hightower. Much like Edelman, Hightower has formed a habit of making game-changing plays in the Super Bowl dating back to four years ago. The Malcolm Butler interception doesn’t happen if Hightower doesn’t stop Marshawn Lynch at the one-yard line the play before. The 28-3 comeback doesn’t happen if Hightower doesn’t strip-sack Matt Ryan with eight minutes to go in the game and the Pats trailing 28-12. And that unconventional defensive win on Sunday doesn’t happen without Hightower constantly pressuring Goff and making his life a living hell. People like to say the NFL is dominated by offense now. That’s 100% true in the regular season, but defense will always win championships. The 2001 Patriots beat the “Greatest Show On Turf” because they had the better defense. The 2007 Patriots had the greatest offense of all-time, but the Giants had the better defense. Peyton Manning and the 2013 Broncos broke all of the Patriots ‘07 offensive records before getting embarrassed 43-8 by the Legion of Boom. And most recently, the number two offense in football was held to three points. Having a guy like Hightower is essential to being a championship contender. The only other time a team has been held to three points in the Super Bowl was when the Cowboys beat the Dolphins 24-3 in Super Bowl V back in 1971. What we saw on Sunday was arguably the greatest defensive performance in Super Bowl history, and 54 was in the middle of just about every big play. He finished the game with two sacks and three hurries. In the Pats’ divisional round win over the Chargers, he had 10 quarterback disruptions on Philip Rivers (1 hit, 9 hurries). As is often the case, his contributions in both of those games went way beyond the stat sheet. His football IQ and vocal leadership can’t be understated. If you need proof just watch him mic’d up in the Super Bowl against the Falcons or when he hyped his teammates up before last year’s AFC Championship because he couldn’t be out there himself. This guy is a winner in every sense of the word. Tedy Bruschi is an all-time Patriots legend, but it’s time to put the other number 54 in that same category. Jerod Mayo, Mike Vrabel, Willie McGinest, Andre Tippett are all in the conversation as well. The only thing those guys have that Hightower doesn’t is the ability to stay healthy and play a full season (aside from Mayo), but Dont’a stands alone with his Super Bowl accomplishments. Tom Brady could very well be stuck at three if it weren’t for his execution in high-pressure situations.